Today, Botswana is considering lifting the ban on elephant hunting. 130,000 elephants, close to a third of Africa’s elephant population, live in Botswana, a country about the size of France. Farmers complain that elephants destroyed nearly 72% of Botswana’s north region’s maize crop, which feeds their families. At the same time, because of its vast, remote wilderness space, tourists flock to Botswana to see its wildlife. Conservationists are alarmed at the thought of lifting the ban, which will not solve the problem of crop-raiding elephants. Elephant experts say hunting will only result in killing the largest bull elephants with big tusks while the elephants that raid crops are younger bulls or families of elephants. Conservation South Luangwa (CSL) in Zambia, which Africa Hope Fund helps support, offers better alternatives by working with farmers to protect their crops. CSL helps farmers build concrete granaries to replace woven ones to keep elephants away from the corn they put away for the year. CSL also helps farmers plant chili crops around their fields (which elephants hate) and helps farmers sell their harvested chilis. They teach farmers how to use “chili blasters” loaded with chili powder that create annoying clouds of chili dust around persistent elephants. Elephants dislike potatoes too, so bordering a corn crop with potato plants also discourages elephants from raiding a farmer’s livelihood. These conservation efforts, along with education about the value of the valley’s wildlife to all who live there, help farmers and elephants live together. 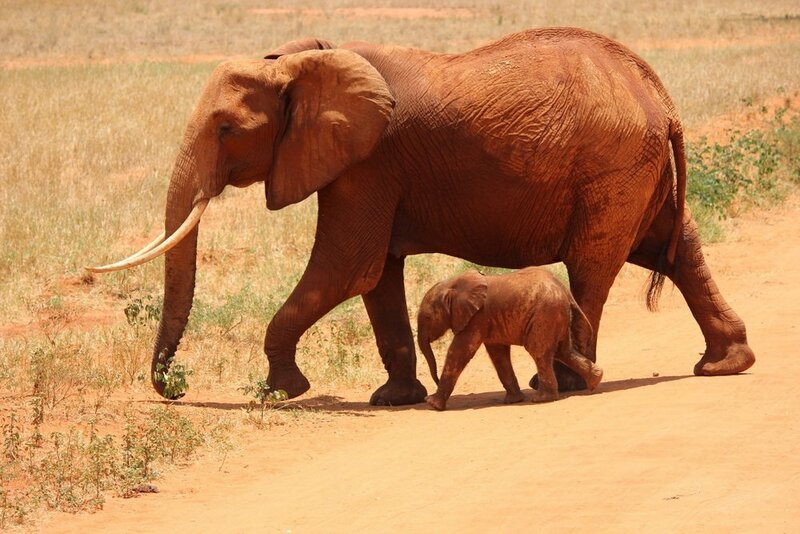 Farmers realize elephants' value in the ecosystem and the local tourism economy. Conservation South Luangwa’s programs can work in other parts of Africa. Your support makes it possible for us to help protect elephants in Zambia and share what works with other parts of Africa, like Lake Tanganyika where they struggle to regrow their elephant population and minimize human/elephant conflicts.